Shirley Anne Bundy died at St. Luke’s hospital in Boise on Saturday, May 17, 2014, at the age of 74. She was the daughter of Agatha Mary and David Wesley Sherratt of Ketchum, Idaho. Her father, Dave, came out from Utah to work for Pacific Union Railroad. Her mother, Agatha, worked for the Sun Valley Lodge. Shirley was the older of two daughters over her sister, Mary Margaret. 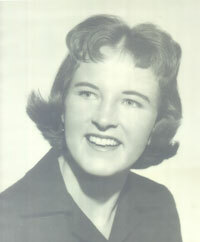 Shirley was born Jan. 9, 1940, at Moritz Hospital in Sun Valley. For genealogy purposes, in 1940 the hospital was located downtown on Main Street in Hailey. She graduated from Ketchum High School, and shortly after married her high school sweetheart, Ken Bundy. They moved to Henderson, Nev., for work and then moved four years later to Salt Lake City, Utah, with their two daughters, Natalie Marie and Cindy Anne. They moved back home to the Wood River Valley in 1969 to be closer to family. Shirley loved to bowl, with an easy average of 240. She also loved to fish, mushroom hunt, plant vegetable and flower gardens, and go crabbing on the Oregon coast. In her 60’s she took up quilting with her daughters in Boise, Idaho. She always kept an immaculate home and she was a fantastic cook. She loved a good rodeo, the World Series and Boise State football. She is survived by her daughters, Natalie Angell (Don) and their sons, Don (Bend, Ore.) and Brandon (Boise, Idaho) and Cindy Riggen (Ralph Jr.) and their daughters, Ashley and Emily (Boise, Idaho). Shirley will be laid to rest in Ketchum, Idaho, privately in the month of June.